As anyone who has been through the First Year Orientation Period can attest to, physical fitness is a huge part of it. In years past, the physical training (PT) emphasis was primarily on very, very intense workouts. As Stephane Robert, RMC Athletics PE Manager explained, this year that’s changed a little. e-Veritas was out on the peninsula this past Wednesday morning as the PSP Staff put the Class of 2022 through their paces. 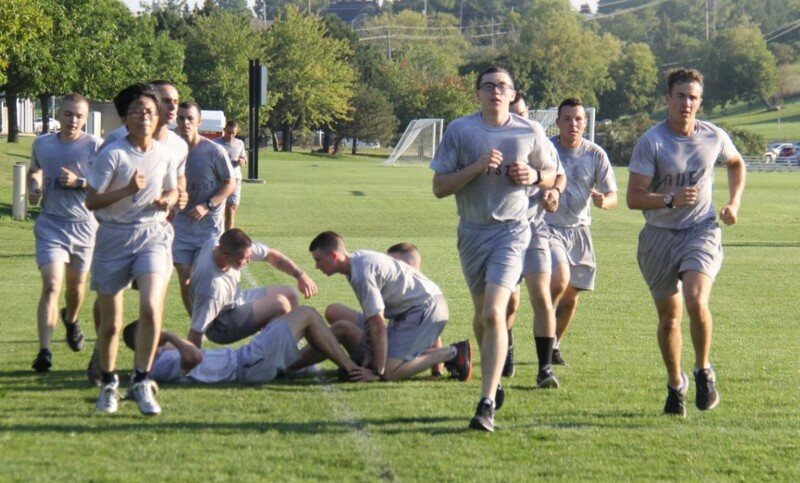 “Sweat equity” was plainly evident as the First Years completed different body weight circuits and covered some of what they’ll need to do for their upcoming Physical Performance Test (PPT).